There was a time when a large percentage of Downtown Raleigh businesses announced their presence with neon or an otherwise illuminated sign. 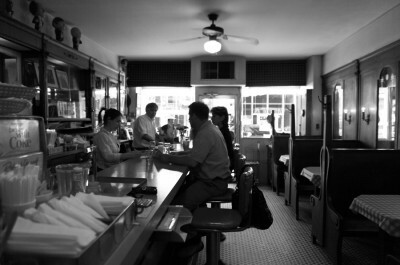 This began to change in the late 1960s, as businesses fled downtown for the suburbs. Later, overzealous sign ordinances restricted the size and outlawed illumination, and the signs began to fade away. 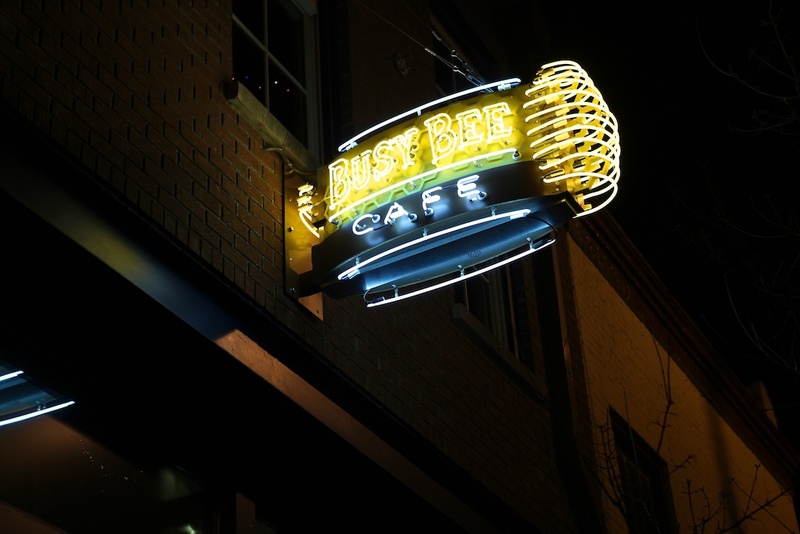 Although Downtown has experienced a surge of growth and life in the past few years, it’s only within the past couple of months that the neon sign appeared poised for a comeback. The chase is never over. 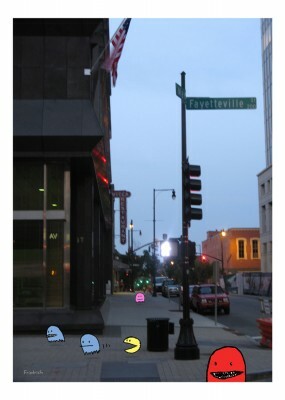 The new Fayetteville Street, NC’s main street, gives Pac-Man and the ghosts a few more obstacles to avoid. 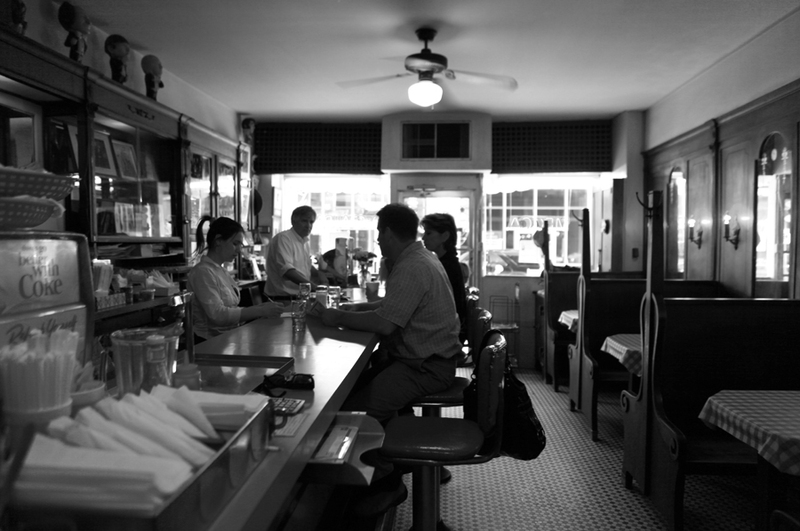 Do you know how Mecca Restaurant got its name? The first person to respond with the correct answer wins this 5″ x 7″ print.